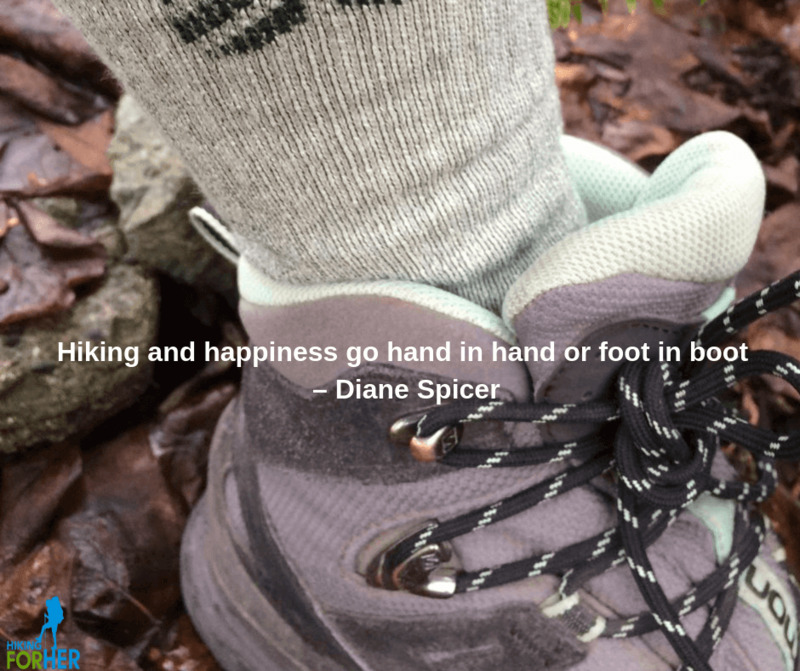 The best hiking quotes bring a smile, or a tear, or possibly both, as you read them and ponder their wisdom. 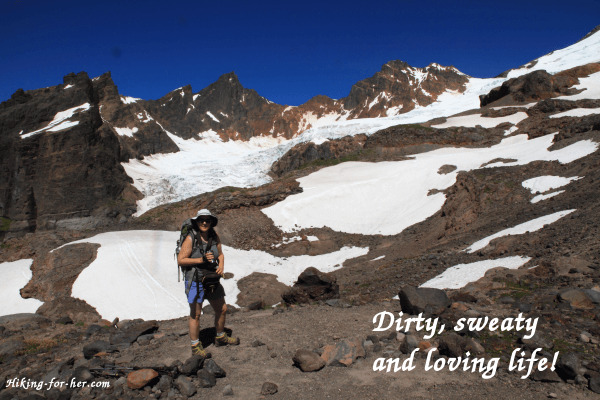 It feels great to know that someone else understands exactly how you feel about hiking, right? 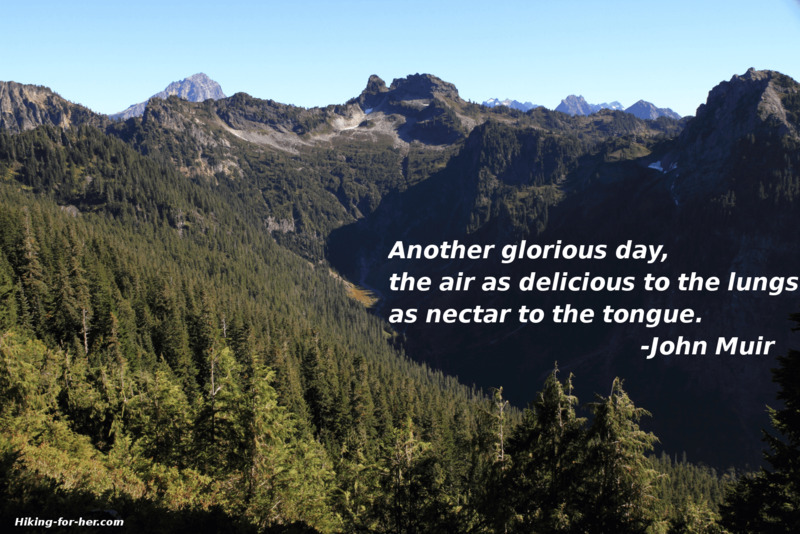 Allow me to share a gallery of the 14 best quotes for the trail that I've found over the years, illustrated with some photographs of places I've hiked. 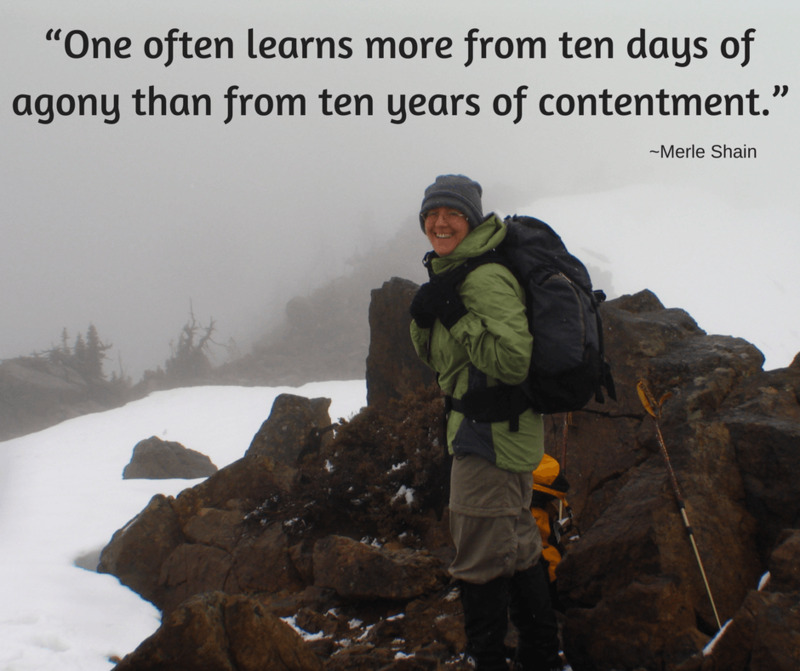 Sometimes it's tough to keep going when you're tired, hungry, sore and whatever else describes a long day of hiking. These words are meant to motivate you when the going gets tough! 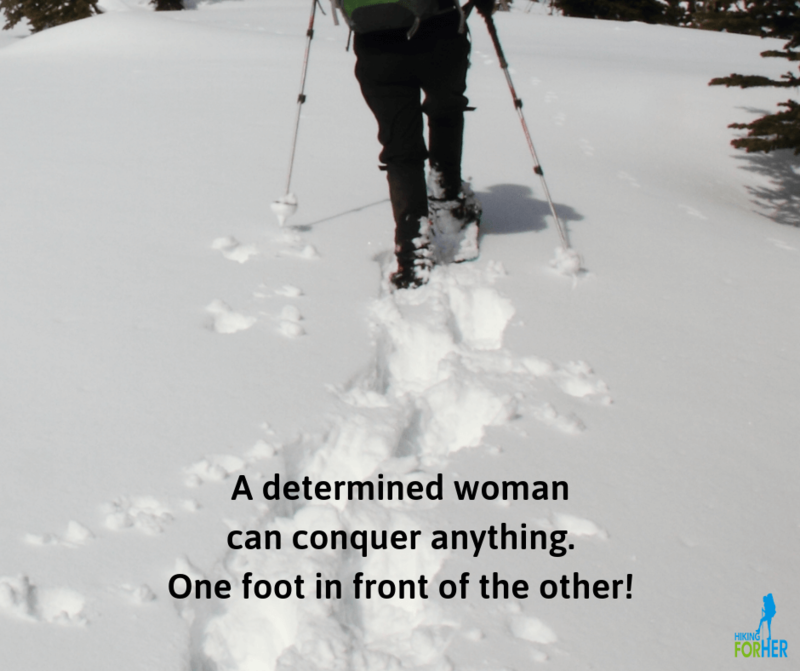 "A determined woman can conquer anything. One foot in front of the other!" 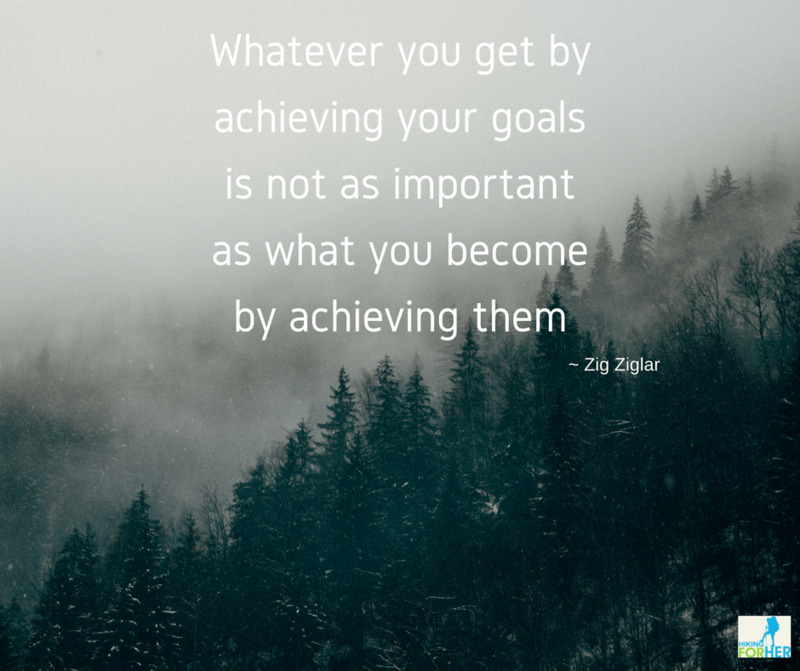 "Whatever you get by achieving your goals is not as important as what you become by achieving them." "Whatever's headed your way, you can handle it. 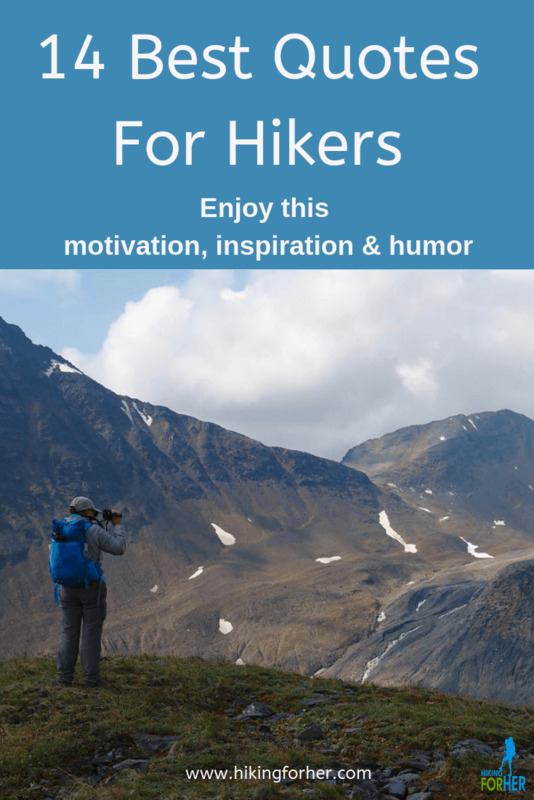 Searching for some inspiration as a hiker? 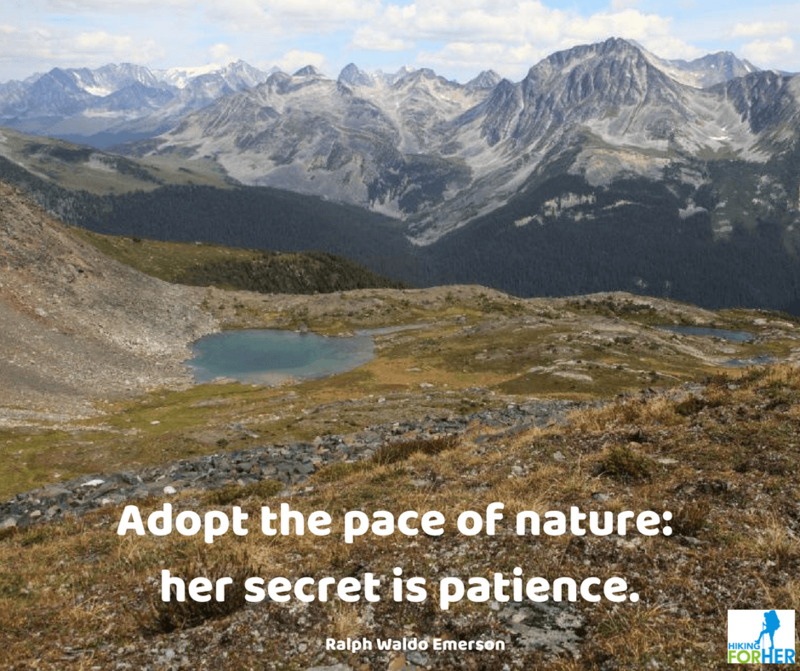 Mother Nature is there for you, with gentle and sometimes not so gentle lessons. 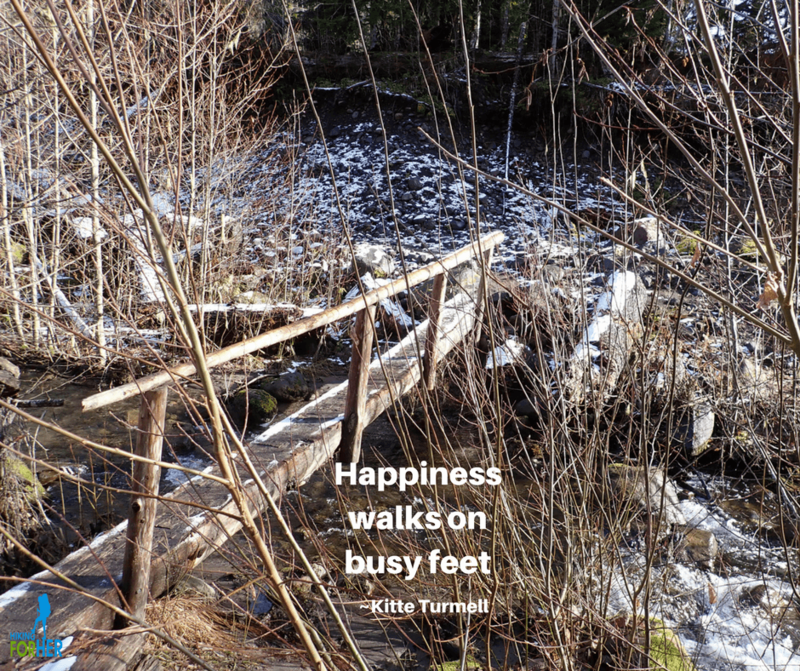 "Happiness walks on busy feet." 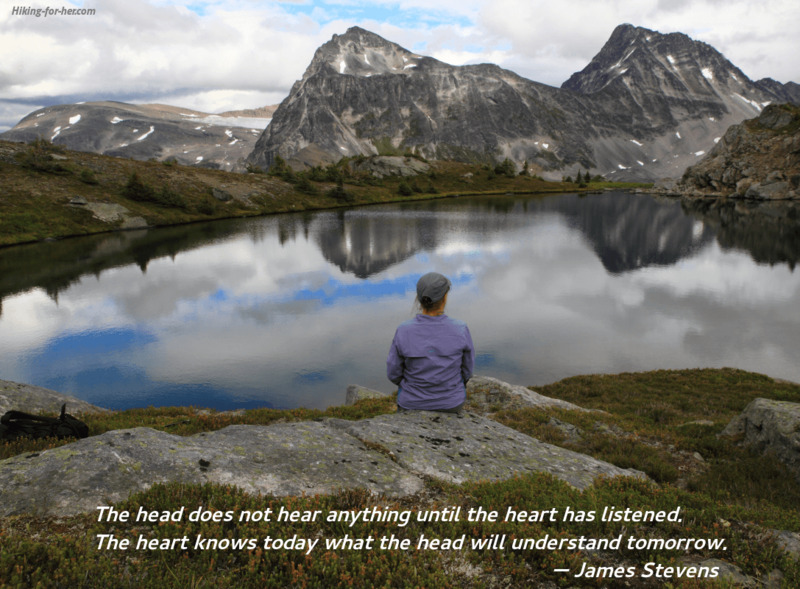 "The head does not hear anything until the heart has listened. The heart knows today what the head will understand tomorrow." 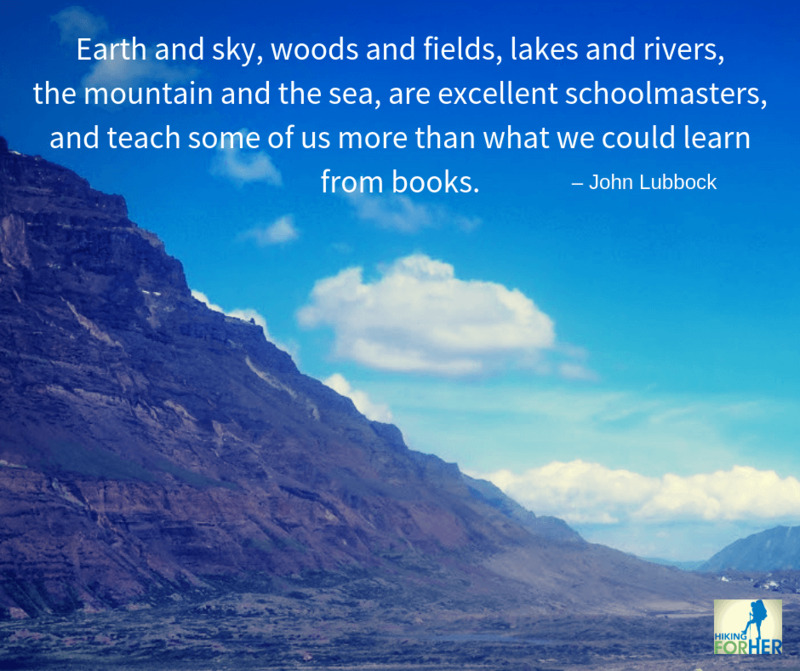 "Earth and sky, woods and fields, lakes and rivers, the mountain and the sea, are excellent schoolmasters, and teach some of us more than what we could learn from books." Come on! You know how good it feels to crack a smile! 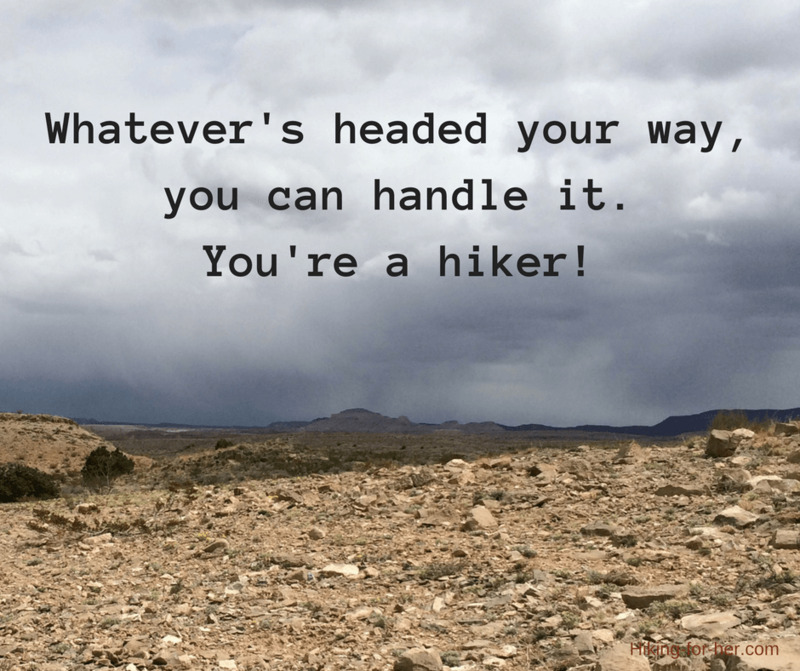 Here's some hiking humor to enjoy in these hiking quotes, some of it a little dark but that's just life on the trail, right? 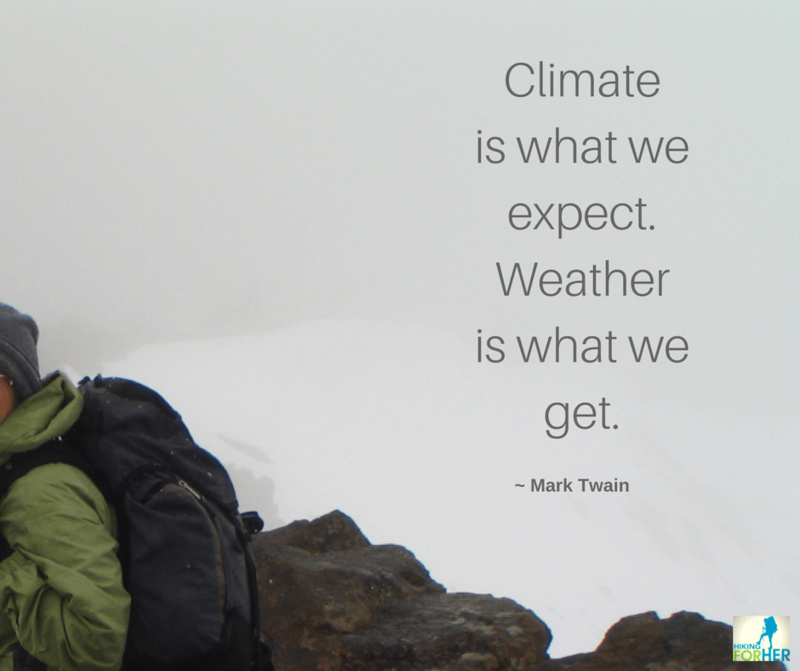 "Climate is what we expect. Weather is what we get." "Dirty, sweaty... and loving life!" Isn't that how all hikers should feel?? 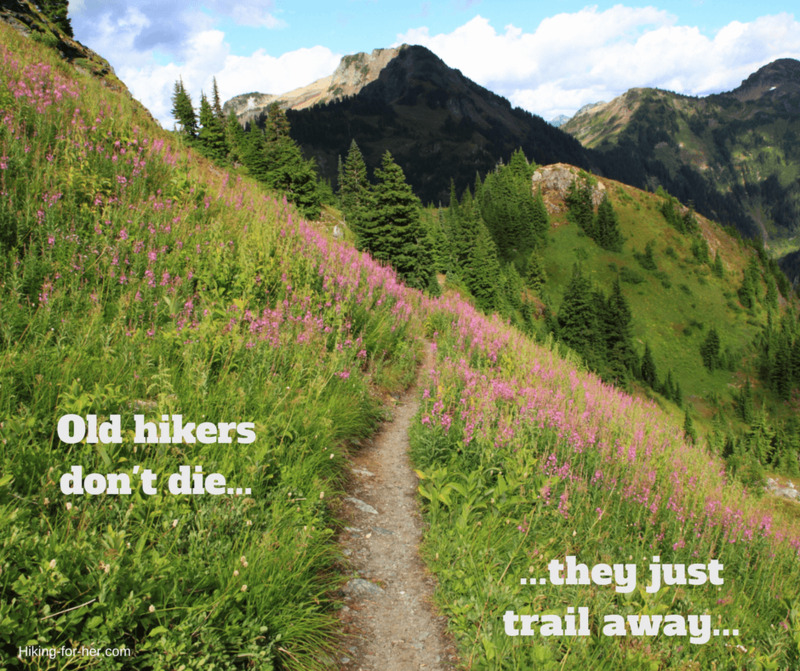 "Old hikers don't die ... they just trail away." 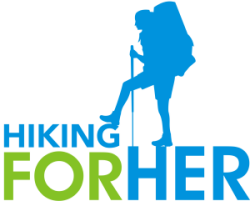 It's my hope that you've found something to pin to your Pinterest board or save on your computer, to remind you of why you love this thing called hiking. 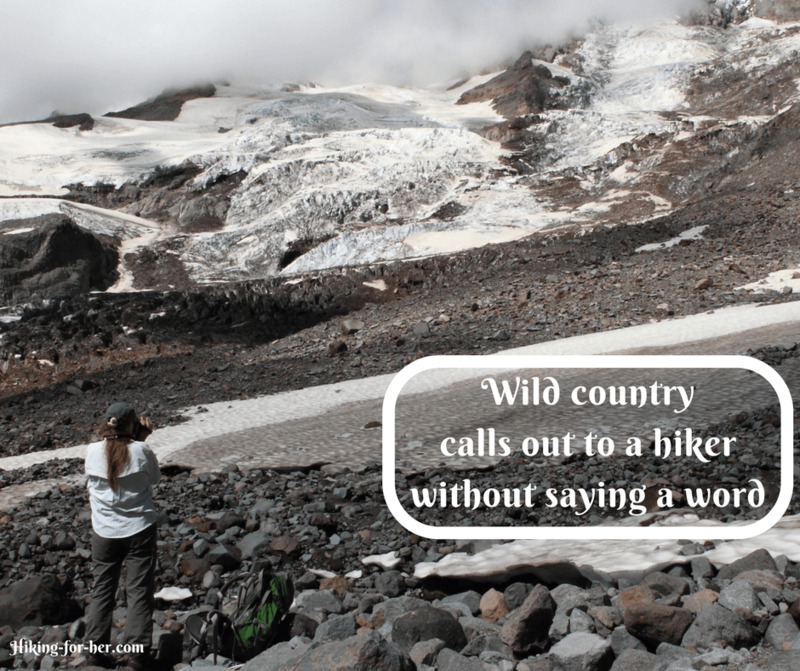 Here's a bonus quote from Hiking For Her.